The Super Bowl was celebrated Sunday in Pahrump with parties and entertainment. 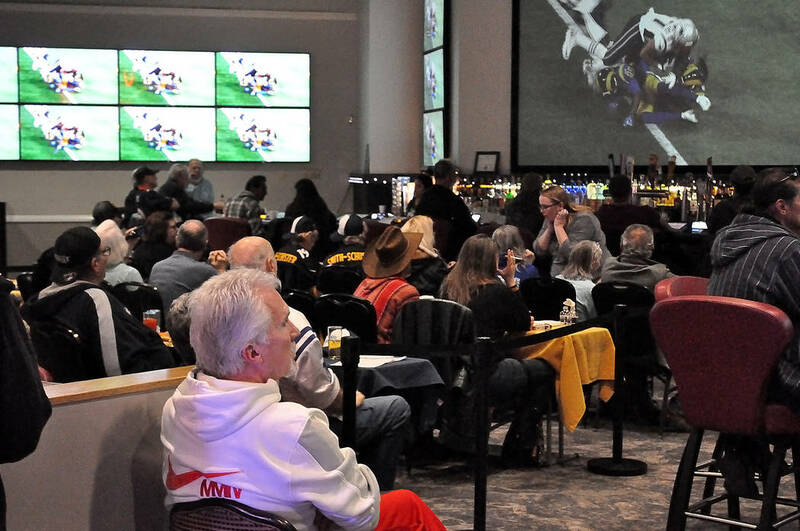 Multiple Pahrump casinos, eateries and bars took part in “Big Game” festivities on Sunday with discounted drinks, food and other offerings during the main event. 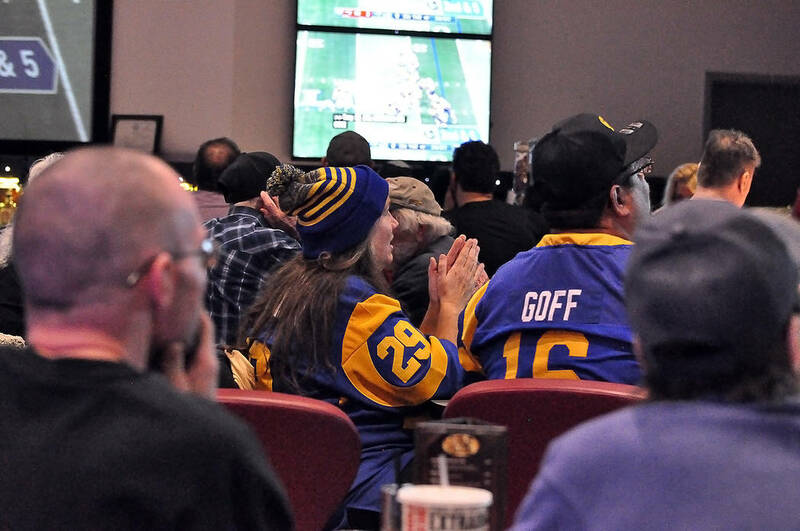 Locals and visitors dropped in at the Pahrump Nugget sportsbook to watch the New England Patriots and Los Angeles Rams battle it out during Super Bowl LIII. The Patriots won 13-3 in Atlanta. 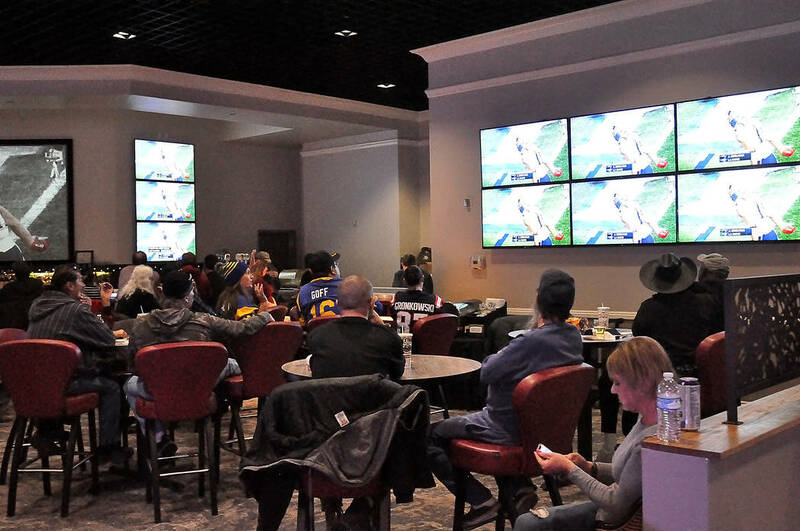 Guests enjoyed $2 draft beers and $2 slices of pizza while they checked out the game on a 165-inch, high-definition projection screen and several high-definition plasma TVs. Prizes were available throughout the game, with each beverage purchased garnering an entry; a purchase of a draft domestic or craft beer got two entries. Other Pahrump businesses joining in the celebration included Sullivan’s Pub, Mark’s Grill inside Nevada Treasure RV Resort and Vince Neil’s Tatuado Wild Side Tavern. The Retail Association of Nevada had projected that 1.7 million Nevadans would tune in to watch the “big game” on Sunday. The Patriots’ 13-3 win over the Rams produced the fewest combined points in Super Bowl history. 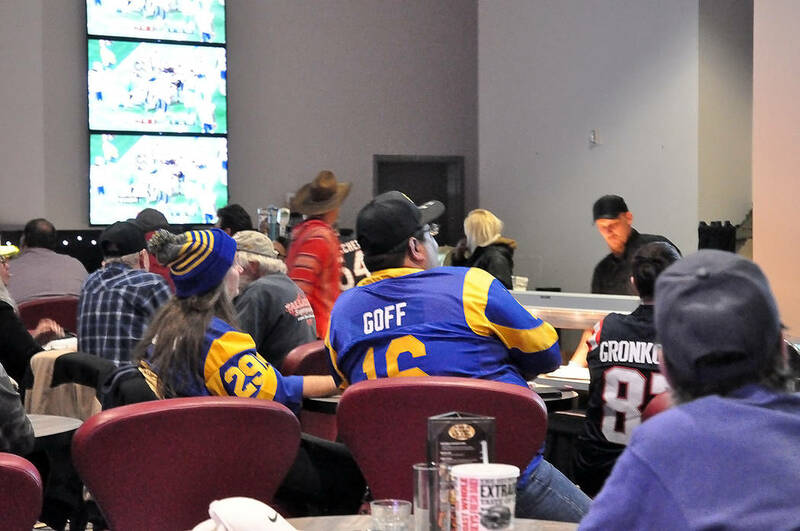 “We want the game to be lower scoring, but we don’t want the game to be historically low,” Westgate sportsbook manager Ed Salmons said in Las Vegas. 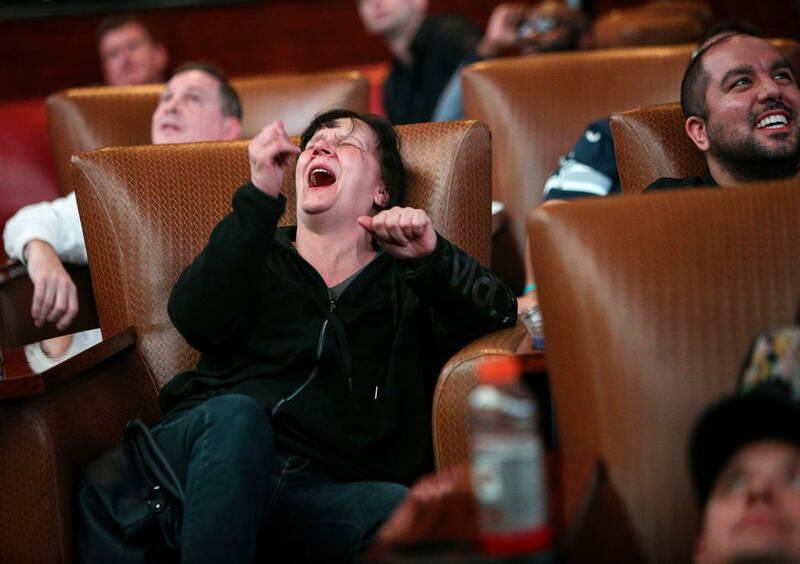 Rob Gronkowski caught a 29-yard pass from Tom Brady in what resulted in the biggest roar of the day at sports books. Most books reported small wins on the game overall. The betting public won on the Patriots, who covered as 2½-point favorites. But it lost on the total, which was one of the highest in Super Bowl history, hitting 59 at one point but closing at a consensus 56. Sharp bettors were all over the under in the matchup of two of the NFL’s highest-scoring teams. 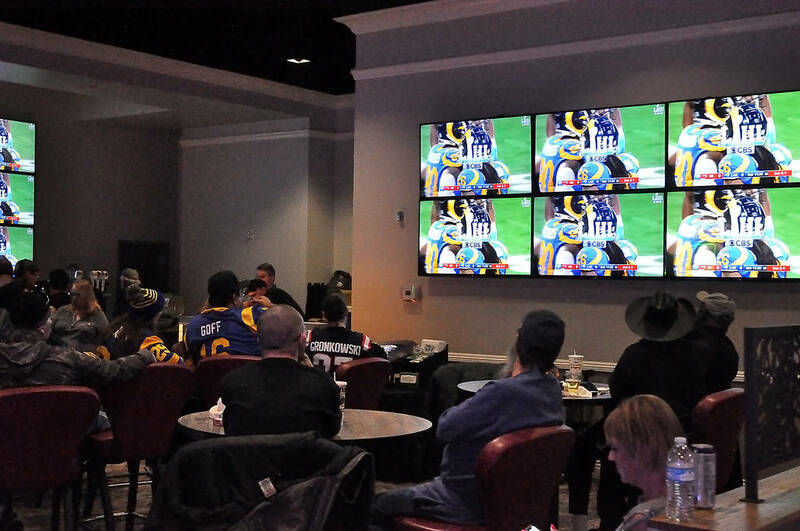 Heavy action on the game showed up at Las Vegas books between Thursday and kickoff, with the MGM taking a $2 million money-line wager on the Rams and a $1 million-plus straight bet on the Patriots (-2½). 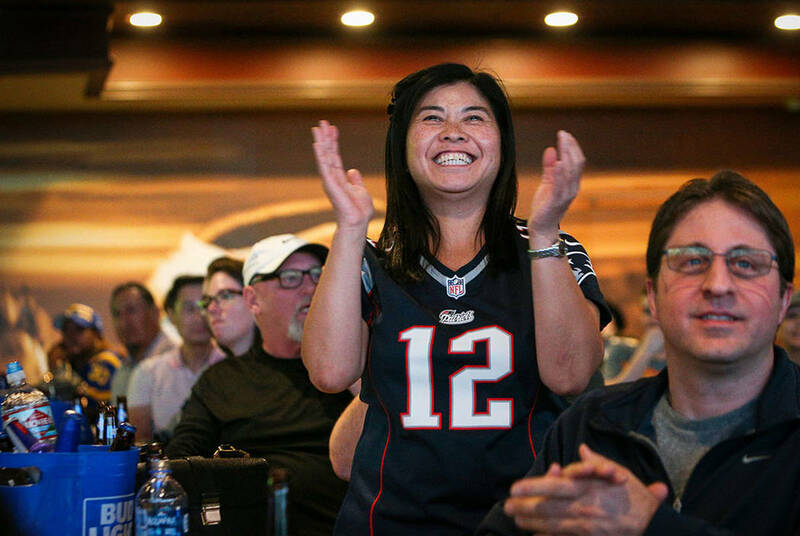 William Hill took a $580,000 straight bet on the Patriots on Sunday and Caesars took a $500,000-plus straight wager on New England amid a multitude of six-figure bets across the city of Las Vegas. William Hill also took a $1.5 million money-line bet on the Rams from the same bettor who beat Las Vegas out of an estimated $10 million on the 2017 World Series and roughly $10 million more on the Eagles over the Patriots in Super Bowl LII. Reporter Todd Dewey of the Las Vegas Review-Journal contributed to this story.